A great choice for an underlit room whether it's a living room or home office. This low voltage complete track kit installs quickly. Kit includes a 4-foot length of track, 3 adjustable bullet lights, and a floating canopy. Can be made into a plug-in design. Cord and plug adapter with in-line on-off switch is sold separately. Track kit includes: 4-feet of track, three 7" high track lights. Weighs 3.88 lbs. Takes three 50 watt G5.3 base MR16 bulbs (not included); accepts up to a maximum of 150 watts total. Complete low voltage track kit by the Pro Track® brand. Comes with three fully adjustable bullet lights that can be aimed as needed. To make a family portrait look better. can the light be hard wired ? BEST ANSWER: Hi - This includes a floating canopy for hardwire installation. I have a similar set up & it no longer works. Are the bulbs independent of each other or interdependent? BEST ANSWER: Hi - If one light does not work, the other lights are not dependent and should still work. Unless it is a power or track issue. I was afraid that would be the answer. Thank you so much for your time! Be Blessed! BEST ANSWER: Hi - I have added the mini connector below to connect two tracks together. can 2 tracks be connected to make 8 feet unit ? BEST ANSWER: Hi - Yes, you can connect tracks together. I have added the connector below which can be used. what is the actual lite bulb voltage required? 12v or 120v? AC or DC? BEST ANSWER: Hi - This uses 12 volt MR16 bulbs. I have added a link below for the bulb information. what is the maxium length of the light from the ceiling? BEST ANSWER: Hi Michelle - The approximate height from ceiling to bottom of the track head is 8 3/8"H.
BEST ANSWER: Yes - this is dimmable with an electronic low voltage dimmer. Can't be track be shortened? We don't quite want four feet. BEST ANSWER: Hi, the track can indeed be cut to desired length. The product description says this is 120v, and takes G5.3 MR16 bulbs. I'm having trouble finding those bulbs in 120v. 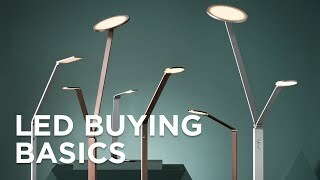 Do you sell those, or do you have examples of what bulbs would work? BEST ANSWER: I have included the recommended light bulbs. Can you use more than three lights? BEST ANSWER: Yes, you can add more than 3 heads on the track. BEST ANSWER: Hi - these are really designed to be used on the ceiling, but you could wall mount them if you wish. Can I use LEDs instead of halogen? BEST ANSWER: Yes, you can use LED's instead of halogen. Which LED lights are compatiable with this track lighting? You may use LED bulb Style #1D503. Is there a compatible T connector for this light in bronze? BEST ANSWER: We do not currently offer a T-connector for this item. Can this be used with only two lights instead of three? BEST ANSWER: Yes. You may install one, two or three of the track heads as desired. Can the track be shortened? BEST ANSWER: Yes, the track can be cut to any desired length. It needs to be at least 8" in length to allow for one track head and the power connection. Does the wiring on the Pro Track low voltage track kit come out of the end, or somewhere else? BEST ANSWER: The track includes a floating canopy that can be placed anywhere on the track. Could I gang six of these together? BEST ANSWER: Yes, you can interconnect 6 of these tracks together. I bought this set of track lights for our cabin. I didn't have a J-box to wire the light into, so I bought the Plug-in adapter so I could just plug it into an adjacent standard outlet. The instructions that came with the track lighting specify that "this track system is not intended for use with a power cord supply". I had to call customer service to find out there actually is a way to use the power cord adapter, it just doesn't say it in the instructions. Make sure you call Lamps plus to find out how the adapter is connected. I'm using this as a work light. Love the multi directional focus of the lights, love the bronze color. I bought three sets of this track lighting set for my photography studio, which is in a very old building. I purchased the suggested Halogen lights and they are very illuminating without taking up the space of a traditional flood light. I did not install personally, due to the age of my building (wanted a professional to know what they are doing!) but my electrician had no problems. 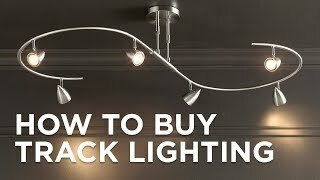 I purchased 3 sections of the above track lighting with the intent of connecting the three to give me a 12' run. I also purchased connections and an end power cord. The instructions were HORRIBLE since it was set up for only one section and the power supply was from a junction box at the end. First, I laid out the sections on the floor, connecting them with the connectors I purchased extra--they were hard to connect but went in, the power cord went in much easier. My wife helped me lift and position the track against wall while I fastened them. When all said and done I added the lights--again THERE WAS no real instructions. I then turned on the power and switched them on. Only the first section lit-- which had the power, the other two had nothing. So now I had to take down the other two sections and check if I had power from the connector--I did. Now I had to determine WHY NOT ON THE OTHER SECTIONS. When I took off the sections I really examined them and found out that on one side there was one copper track and the other side there was two. The connector on examining it had on one side two prongs while the other had one. With this NEW information I reversed the track sections so that the two track wires were on top and the single wire on the bottom (it doesn't matter which is on top or bottom ALL THAT MATTERS IS THAT THEY BE ON THE SAME SIDE. Before I installed the lights I checked the wires for electric current at the end section and found that I did. Now for the lights. After installing the lights I turned on the switch and LIGHTS. It was a really horrible experience but its over and the system looks great. ALL I CAN SAY IS PUT BETTER INSTRUCTIONS IN THE LIGHT KITS SO PEOPLE OF MINIMAL MECHANICAL, AND ELECTRICAL KNOWLEDGE CAN PUT THE SYSTEM TOGETHER WITH SOMEWHAT EASE WHETHER IT BE FOR A STAND ALONE ONE SECTION OR A MULTI SECTON, WITH A DIRECT OR PLUG IN ELECTRICAL SOURCE. The direct lighting works as a way to accent the decorating in my lake house screen porch. Not user friendly to install. This product needs better instructions. I have made three trips to the store to try to get the correct bulbs. I have finally found some that will fit, but now the glass covering on the heads will not fit back over it. Clipped the heads in the track anyways and plugged it in, nothing. My heart is breaking. I guess tomorrow I will have to take a look at my single or double copper tracks and see if they are misaligned ( I am joining two sets of tracks with the hardware ). I sure wish I had detailed instructions for this kit, I paid enough for them. Thank you Henry F. for sharing your experience, I think I may have the same issue with my tracks. It sure has been a long day! Hi Joanne W., we do apologize that you had some trouble finding the correct bulbs for this kit. Our customer service team is always available during this process so they can help with installation tips, troubleshooting, or bulb recommendations. You can reach them via phone, email, or chat. Thank you. I love the modern look of the Pro Track Bronze Track. The sales person who helped us was very helpful about the different products available. Installation was easy and the lighting's great! This track light has illuminated our dimly lit bedroom. With sleek black cylinder headsthis three-light LED track kit makes a modern style statement. Narrow bullets heads and a black finish lend a hint of minimal industrial style to this adjustable three-light track kit.